Sometimes people speak of dementia and Alzheimer’s as if they were the same thing, which is not true. Dementia is not a specific disease. It is a general term for a decline in mental ability severe enough to interfere with daily life. Dementia describes a wide range of symptoms. Memory and other thinking skills are usually affected. Alzheimer’s disease is the most common cause of dementia accounting for 60 to 80 per cent of cases. Vascular dementia is the second most common cause of dementia. It is caused by impaired blood flow to parts of the brain. With an aging population and no available cure on the horizon, Alzheimer’s disease is becoming a growing concern. It is the sixth most common cause of death in the United States. Finding a cure for Alzheimer’s disease is a major challenge for the medical community. At present, about 33·9 million people worldwide have Alzheimer’s disease, and prevalence is expected to triple over the next 40 years. The science of Alzheimer’s disease has come a long way since 1906 when a German neurologist and psychiatrist named Dr. Alois Alzheimer first described the key features of the disease now named after him. He noticed abnormal deposits in the brain of a 51-year old woman who had dementia. Researchers now know that Alzheimer’s disease is characterized by brain abnormalities called plaques and tangles. Clearing these plaques is one of the major targets in Alzheimer´s research today and drugs are already being tested in human clinical trials. The exact cause of Alzheimer’s disease isn’t known, but some risk factors have been described. The risk of developing the disease increases with age. Family history also plays a role; there’s a higher risk of Alzheimer’s if a family member has the disease. Having the ApoE4 genetic variant is one of the biggest risk factors for developing the disease. The risk of developing vascular dementia appears to be increased by many factors that affect the heart and blood vessels. These include high blood pressure, heart disease, stroke, diabetes and high cholesterol. So although there’s no definitive way to prevent the disease, not smoking, keeping blood pressure and cholesterol at healthy levels, taking regular exercise, maintaining a healthy weight and eating a healthy diet are all sensible. 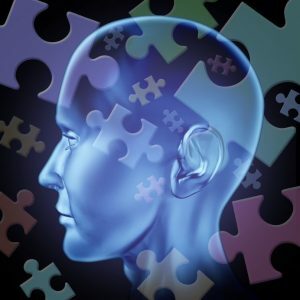 Although the association between Alzheimer’s disease and modifiable risk factors is still a bit unclear it has been proposed that risk factor modification may lower the prevalence of the disease. In a paper published in Lancet Neurology, UCSF (University of California, San Francisco) professors Deborah E. Barnes and Kristine Yaffe discussed seven of these risk factors. These are the risk factors: diabetes, midlife hypertension, midlife obesity, depression, physical inactivity, smoking, cognitive inactivity and low educational attainment. In their Lancet Neurology article Professors Barnes and Yaffe calculate how much risk factor modification could influence the huge number of Alzheimer´s cases worldwide. 1. Diabetes. Diabetes has been associated with an increased risk of Alzheimer’s disease and dementia in several studies. About 2% of Alzheimer’s disease may be attributed to diabetes. If diabetes prevalence was 10% lower than at present, 81.000 Alzheimer´s cases worldwide could potentially be prevented. 2. High blood pressure (hypertension). High blood pressure in midlife has consistently been associated with increased risk of Alzheimer’s and dementia in late life. This does not seem to be true for hypertension in older age. About 5% of Alzheimer´s cases are potentially attributable to hypertension. If the prevalence of midlife hypertension was 10% lower than present levels, the authors estimate that there would be over 160 000 fewer Alzheimer’s cases worldwide. 3. Obesity. Studies have indicated that obesity may be associated with Alzheimer’s disease, pooled data indicate that this may be statistically significant. Similar to high blood pressure, evidence suggests that the association between weight and Alzheimer’s disease may change with age. About 2% of Alzheimer’s cases may be attributed to midlife obesity. A 10% reduction in midlife obesity prevalence could potentially prevent about 67.000 cases of Alzheimer’s worldwide. 4. Depression. In one meta-analysis of 13 studies, people with a history of depression had about two – times increased the risk of dementia compared to those without a history of the disease. More than 10% of Alzheimer’s cases worldwide me be attributable to depression. A 10% reduction in depression prevalence could potentially result in about 326.000 Alzheimer’s cases worldwide. 5. Physical Inactivity. Many studies have indicated that physical inactivity may be associated with Alzheimer’s disease. Randomized controlled trials have shown that healthy sedentary elderly people who begin exercise programs experience significant improvements in cognitive function, particularly mental processing speed. Worldwide, about 13% of Alzheimer’s cases are potentially attributable to physical inactivity. A 10% reduction in the prevalence of physical inactivity could potentially prevent about 380.000 Alzheimer´s cases worldwide. 6. Smoking. The worldwide prevalence of smoking in people aged 15 years or older in 1995 was 29%, with the highest prevalence reported in Europe and Asia (34% combined). Smoking prevalence varies considerably worldwide. In the USA, 20.6% of adults aged 18 years or older were cigarette smokers in 2009. Nearly 14% of Alzheimer’s disease worldwide are potentially attributable to smoking. A 10% reduction in smoking prevalence could potentially lower Alzheimer’s prevalence by about 412.000 cases worldwide. 7. Cognitive inactivity or low educational attainment. Observational findings suggest a link between cognitive inactivity and Alzheimer’s. These findings are supported by results from randomized controlled trials which have reported that cognitive interventions in healthy older adults are associated with improvements in cognitive function. Worldwide, about 19% of Alzheimer’s cases are attributable to low education. A 10% reduction in low educational attainment could potentially lower Alzheimer’s prevalence by about 534.000 cases worldwide. Reading one post on your site made me enamored straight away. Thanks. Hope you come and visit often.